LaSorda: Will be "lead director" at hybrid powertrain startup. Former Chrysler executives Tom LaSorda and Steven Landry have joined the board of ALTe, a startup supplier of hybrid-vehicle powertrains. ALTe, of suburban Detroit, makes range-extended electric-vehicle powertrain systems used as retrofits to existing vehicle engines, converting them to operate as hybrids. The vehicles have a battery-powered electric motor and gas-powered generator, similar to the Chevrolet Volt's powertrain. The company's business model is to retrofit vehicle fleets. ALTe says it can generate up to $2 billion in annual revenue within a few years by retrofitting a small portion of the nation's light-vehicle fleets. In a statement today, LaSorda and Landry said the business concept drew them to the company. LaSorda became Chrysler CEO in 2005 when it was owned by Daimler AG and became co-president in August 2007 after the automaker was acquired by Cerberus Capital Management. LaSorda left after Chrysler filed for bankruptcy protection April 30. In May, he became an adviser to Penske Automotive Group in its bid to take over the Saturn brand from General Motors Co. That bid failed Sept. 30. 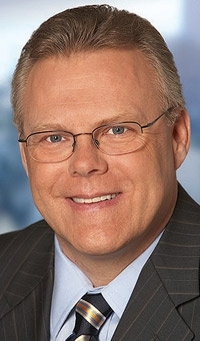 Landry had been Chrysler's executive vice president of North American sales, service and parts. His retirement was announced June 10 when Chrysler emerged from bankruptcy under the management of Fiat S.p.A.
LaSorda, Landry and ALTe CEO John Thomas were unavailable for immediate comment today.